When it comes to EMF radiation and protection, we usually think of cell phones, smart meters, wireless in the home, and dirty electricity. What people often forget about is the enormous danger that EMF radiation from power lines presents. Let’s dive into what power lines are, and why they are so dangerous to our health. What Exactly Are Power Lines? Power lines are typically seen overhead, they are the never-ending system of wiring strung together by tall poles in a grid system. These lines are seen in two subsets. They are either the enormous towers that move bulk electricity from generating sites like power plants, to electrical substations. Or more commonly, they are the lines you see in your neighborhood, that are moving the electricity from these substations to you the consumer. The poles are typically safe as they are either simple wood poles that just carry the line, or they are a shielded metal or plastic that protects the wiring within. However, the lines themselves, which carry voltage close to a half a million volts, emit electrical and magnetic fields. Are Power Lines Dangerous To Our Health? This has been a long studied and confirmed the issue, and it is not talked about nearly enough. Back in the late 1970s, two researchers named Leeper and Wertheimer studied children in various areas and compared dozens of factors. Ultimately they determined that “An excess of electrical wiring configurations suggestive of high current-flow was noted in Colorado in 1976–1977 near the homes of children who developed cancer, as compared to the homes of control children. The finding was strongest for children who had spent their entire lives at the same address, and it appeared to be dose-related. It did not seem to be an artifact of a neighborhood, street congestion, social class, or family structure.” They determined that children who lived in close proximity to power lines for the majority of their life were 3 times more likely to develop cancer. In the 1980s, D.A. 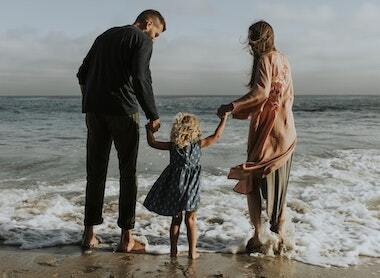 Savitz concluded that it is highly likely that nearly 15 percent of all childhood cancers result from heavy exposure to EMF radiation from overhead power lines. A study in the British Medical Journal stated the following: “There is an association between childhood leukemia and proximity of home address at birth to high voltage power lines.” They ultimately concluded that children born in addresses with close proximity to power lines are 2 times more likely to develop leukemia. Power lines create both Electrical Field radiation and Magnetic Field radiation. Electrical field radiation, although it can be quite harmful (see my post on dirty electricity), is fairly easily stopped or shielded, and most buildings will protect from this type of EMF. The real danger is the magnetic fields that power lines create, as they can penetrate most things (see this post for more). Although there are certain things you can do to shield your home from this type of radiation, like EMF protection paint, none of them are simple or inexpensive. The biggest key when it comes to magnetic radiation from power lines is distance, as the distance from the source gives you exponential safety due to the Inverse Square Law. When you’re living near a power line, how close is too close? Like I talked about above, the EMF radiation from a power line can extend up to a quarter mile from the power lines, but the distance from the line is crucial to how much damage it will do. The diagram below shows (roughly) the type of damage you could expect from extended exposure at various distances. This is why it is actually quite difficult to know what a “safe” distance from power lines is because the amount of EMF radiation varies so much depending on quite a few factors. This is why it is so important to measure the amount of EMF radiation coming from power lines and cell phone towers using an appropriate meter (see the section below on measuring EMFs from power lines). Note that the type of EMF radiation to be concerned with when it comes to power lines is magnetic radiation, so be sure you’re meter measures this. The highest amount of magnetic field radiation comes from the high voltage lines, which are the enormous all-metal towers you’ll see, often in slightly more rural areas. 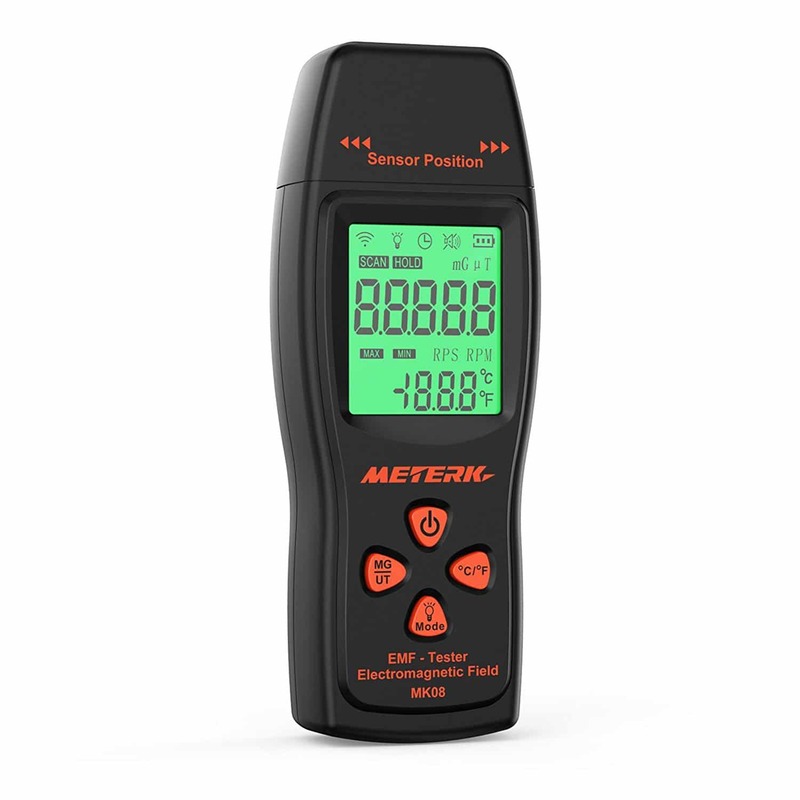 The goal is the be able to measure EMF exposure levels with your meter of .5 milligauss (mG) or less, which will likely require a distance of 800 or more feet, but this is why having a meter is so important. It is even tougher to determine what a safe distance is from the power lines that are more likely to be near your house, the ones that are commonly found on wooden poles and that act as distribution lines. Part of the reason that this is tough is that if your home has a transformer it is possible that it is a hub and it may be passing more electricity on to a group of homes, or you may be an endpoint and only be near the electricity for just your house. Obviously, the difference in EMF radiation between these two situations will vary greatly. In very general terms, that goal magnetic radiation level of .5 mG will be somewhere in the range of 15-150 feet from the wires of these lines but again, just be sure to test with a meter to be sure. One of the absolute best things you can do if you’re concerned about EMF radiation at all gets a quality EMF meter that reads magnetic radiation. I would suggest picking up the new TriField TF2 (read my review). A meter like this will help you to judge the ambient EMF radiation entering your home from power lines. These are also crucial if you’re trying to make other positive changes in your home to reduce EMF radiation exposure, see my posts “11 Ways To Reduce Computer Radiation Exposure“, “11 Ways To Reduce EMF and Dirty Electricity Exposure“, and “Smart Meter EMF Protection” for some great tips on this. Should I Be Concerned About Underground Power Lines? Again, similar to above ground power lines, you don’t really need to be concerned about the Electrical Field radiation, as it will largely be negated by soil and asphalt and distance. It is the magnetic radiation you have to be concerned about. The amount of radiation can actually be quite high as the lines are usually fairly close to the surface. The best and most reliable way to measure EMFs is with a quality EMF meter. I would suggest the TriField TF2 (read my review). 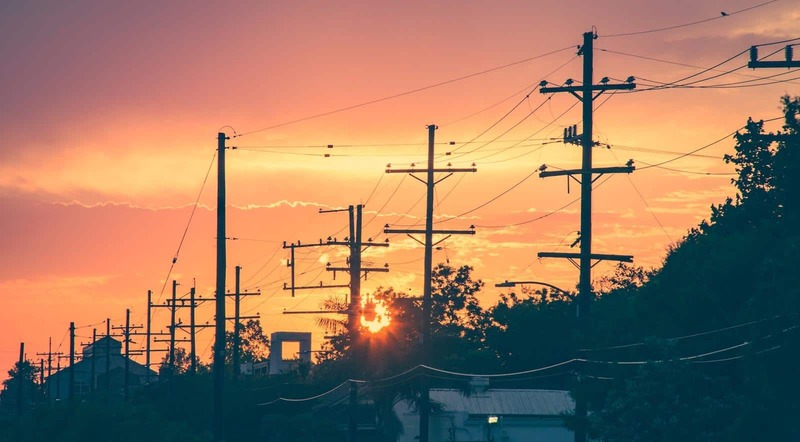 Since the amount of EMF radiation coming from electrical lines depends largely on the electrical load (meaning the amount of power being demanded by homes and businesses), it will change throughout the day. Use your meter to measure various places that you and your family work and play. Measure inside your home, in the backyard, nearby playgrounds etc. It is also important to measure at various times of the day since electrical loads will be different. When you’re measuring inside your home, it could be a good idea to turn the main breaker off (make sure you’ve prepared things for this) so that you can see what the ambient EMF radiation is in your home without it being influenced by other electronics and potentially your smart meter. Whats An Acceptable Amount of EMF Radiation? No matter how much hard you work to protect yourself and your home from EMF radiation, you’re likely to never completely eliminate it in today’s world. The Bioinitiative report, a comprehensive report, and collection of studies on the dangers of EMF radiation suggests .5 – 1 milliGauss (mG) as a maximum safe amount for places that you typically live and reside (believe me, this is hard to achieve). However, it should be noted that if you’re especially sensitive to EMF (EHS: Electromagnetic hypersensitivity), even this limit may be enough to cause symptoms. What Do I Do If I Live Next To A Power Line? Obviously, the simplest thing to do, although not a reasonable option for many, is to move to a safer location. If you are going to stay where you’re living, and the readings are high, the first thing I’d do is try to lower the amount of radiation in your home. This will decrease the total amount of radiation your body is absorbing. I’d suggest checking out my posts “11 Ways To Reduce Computer Radiation Exposure“, “11 Ways To Reduce EMF and Dirty Electricity Exposure“, and “Smart Meter EMF Protection” for some great tips on this. You can try to shield your home from some of the radiation, especially in areas you’re living, but this is not inexpensive or fun to do (or will look attractive), you can try either EMF protection paint (see my review here) or a shielding fabric for this. The amount of radiation emitted from power lines can be quite significant, and you should look into it. However, the bigger threat is likely the EMF radiation in your home, and in your bedroom. I hope you found this post helpful and insightful if you did, consider sharing!